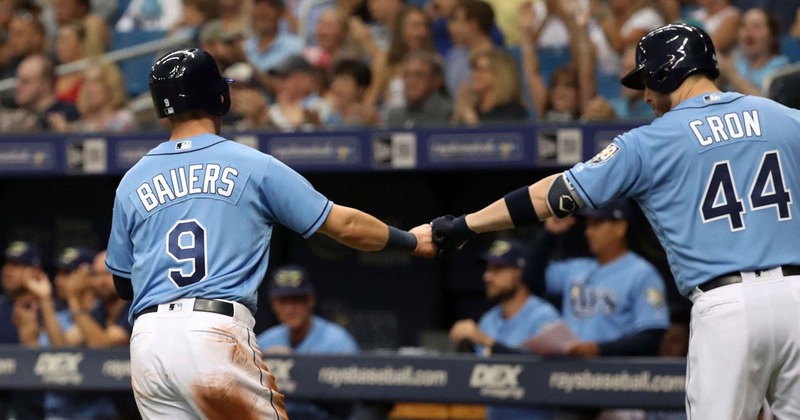 ST. PETERSBURG, Fla. (AP) — Ryan Yarbrough got his rookie-leading 16th win and the Tampa Bay Rays turned another bullpen game into their 90th victory, beating the Toronto Blue Jays 9-4 on Sunday. The Rays (90-72) went to the unconventional plan of using relievers to start games in addition to traditional starters in mid-May due to injuries. The results were about equal, as Tampa Bay went 46-38 with regular starters and 44-34 when utilizing the bullpen. Ryne Stanek was Tampa Bay’s “opener” for the 29th time and went two scoreless innings. Yarbrough (16-6) followed and gave up two runs and four hits over three innings to get his 14th relief win. Martin “thought about it for a couple seconds” before deciding not to be a player-manager. Loser Sam Gaviglio (3-10) allowed five runs and six hits in 5 2/3 innings. Despite the strong on-field showing, the Rays’ announced home attendance of 1,154,973 was their lowest since 2005 (1,141,699). Tampa Bay drew 1,253,619 last season. Sunday’s crowd was 13,313. The Rays are happy with the progress of two-way player Brendan McKay at Class A Charlotte this season and plan to continue the experiment. “Where this ends up going I think we don’t know exactly still, but we’re really encouraged,” Tampa Bay senior vice president of baseball operations Chaim Bloom said. Rays LF Tommy Pham walked in the third to extend his on-base streak to 32 games, the longest active streak in the majors. Johnny Damon holds the team record with 39. Rays: Host AL West champion Houston on March 28 in their 2019 opener.